Welcome to the dental practice of Hernan Cardenas, DDS. and Walter Weber, DDS. Dr. Hernan Cardenas and Dr. Weber are dentists in Campbell, CA who specialize in family and cosmetic dentistry. We are committed to maintaining and or restoring our patient’s mouths back to good oral health, all while treating people in a warm and friendly manner. Dr. Weber has been practicing dentistry in the Campbell area for over 30 years. Dr. Weber's passion for dental science, in addition to his sincere care for others, is reflected in his private practice as well as his involvement as the Vice President of the California Dental Association. We truly care for the welfare our guests and enjoyed the privilege of getting to know their patients and their families over the years. We also offer special cosmetic dentistry procedures including crowns, veneers, and dental implant restorations. 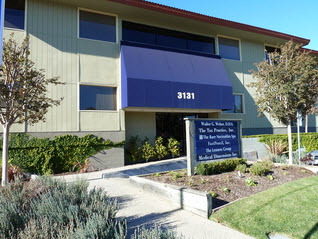 We are located in Campbell, CA which borders San Jose and Los Gatos, close to the Good Samaritan Hospital. If you are looking for a dentist in Campbell, we invite you to contact our team of caring dental health experts or make an appointment online. Campbell Dentist, Walter Weber, DDS, has offered comprehensive family dentistry and orthodontic procedures for over 35 years! Contact us for quality dental.